We have already seen one extended scene from “The Reckoning,” but would you like seconds? Below is another one that focuses on Claire (Caitriona Balfe) and Jamie’s (Sam Heughan) arrival at Castle Leoch. Dougal (Graham McTavish), Rupert (Grant O’Rourke), Angus (Stephen Walters), and Murtagh (Duncan Lacroix) can also be seen in the clip. 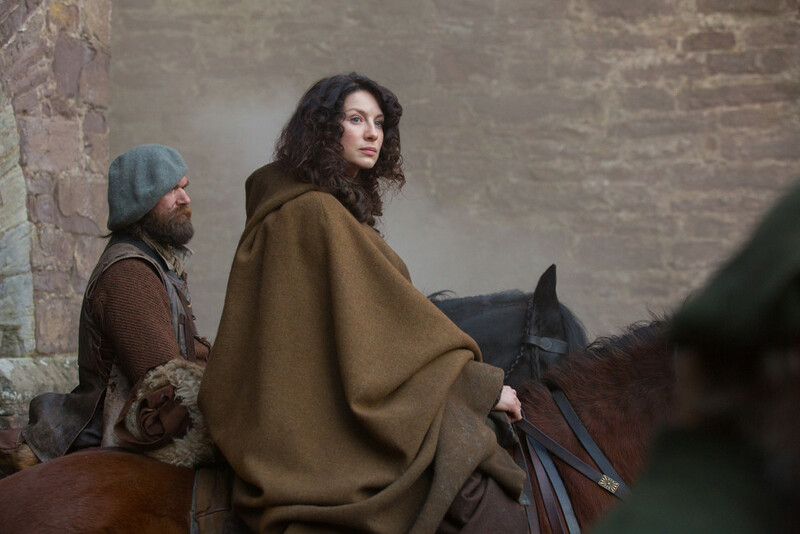 This is one of the scenes available on the Outlander Season One Volume Two DVD/Blu-ray. This entry was posted in Caitriona Balfe, Duncan Lacroix, DVD/Blu-ray, Graham McTavish, Grant O'Rourke, Sam Heughan, Stephen Walters, TV Show Clips and tagged Blu-ray, Caitriona Balfe, Duncan Lacroix, DVD, Extended Scenes, Grant O'Rourke, Sam Heughan, Stephen Walters, The Reckoning by Sarah Ksiazek. Bookmark the permalink.